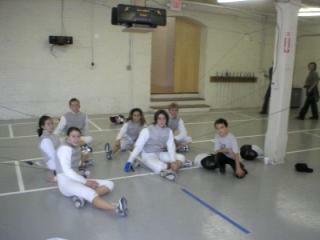 Coaching Staff: Grand Rapids Fencing Academy boasts one of the most respected and skilled fencing staffs in Michigan. The mastery of the Sarkisovs’ advanced fencing instruction has resulted in the Grand Rapids area having some of the United States top up-and-coming foil fencers. Mikhail Sarkisov is a first ever professional coach in the entire West Michigan area, developing fenicng in Grand Rapids area since 1993 and both brothers have had such a profound impact on fencing in the Grand Rapids area that the most if not all of the fencing instructors in the West Michigan had been trained by Sarkisov brothers! Our staff is known for their love of fencing and its instruction and is remarkable in their accessibility to their students. Click below for more information on each of our staff members.